I found a very interesting article last month and I have asked the Editor to serialize it over the next few months. I hope you enjoy it as much as I have. Undoubtedly, there were operative Masons in the Holy Land long before the building of King Solomon’s Temple in Jerusalem, the City of Peace. However, for purposes of Freemasonry, our story begins with the construction of King Solomon’s Temple, an event recorded in the Volume of the Sacred Law which is used as the basis of the proceedings of the Craft, as well as for some of the other Masonic Degrees and Orders such as Royal Arch Chapter and Scottish Rite Freemasonry. In the year 996 B.C.E., King David, who had been reigning from Hebron for seven years, captured Jerusalem from the Jebusites and made it the capital of the United Kingdom of Israel. In gratitude to TGAOTU, King David selected Mount Moriah as a site for the First Temple. However, the Prophet Nathan told King David that God did not approve of him building the Temple because his hands were stained by moral misconduct and the bloodshed of wars. As a result, King David gave this task to his son, Solomon, Man of Peace, who would succeed his father as King of Israel. In the year 967 B.C.E., King Solomon began to build the Temple in Jerusalem and completed it seven years later. It was during this construction that the legend of Hiram Abif became ingrained in Freemasonry. It is the construction of King Solomon’s Temple which serves as the basis for the Masonic ritual. 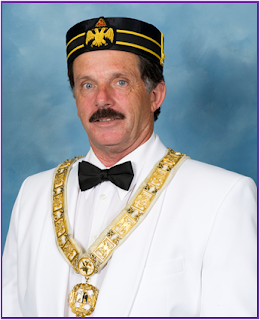 This Temple is the Moral Temple of Freemasonry and King Solomon is known, according to our traditions, as the first Grand Master of Freemasonry. Jerusalem, as the location of King Solomon’s Temple, is regarded as the birthplace of Freemasonry. This city, Jerusalem, which is the promised Land for the Jewish people, the birthplace of Christianity and the site from which Mohammed ascended to Heaven for the Moslems, is considered as the Holy Land for these three great religions.